Description: Book has very small bumps to front fore edge corners and back bottom fore edge corners. One very light scratch on spine near tail and another tiny one near head. Pages are clean and binding is tight. 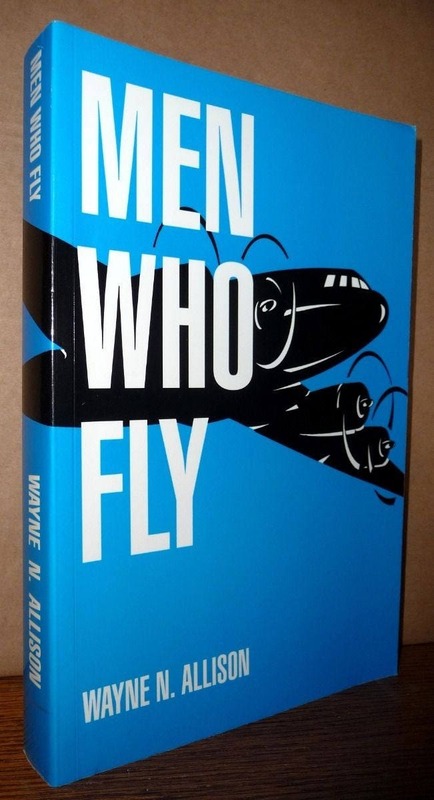 NOTE: This is a copy of the book that was self-published (apparently) before it was picked up by Piccadilly Books. 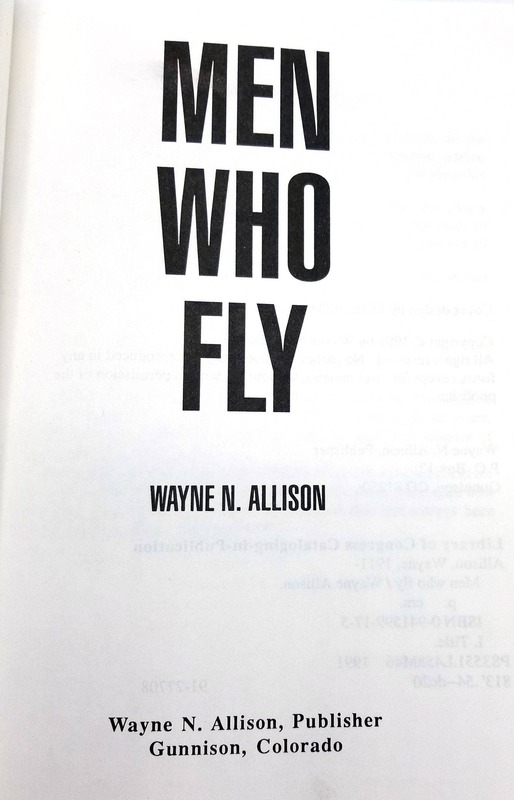 We suspect that this is the author's personal copy of the book. 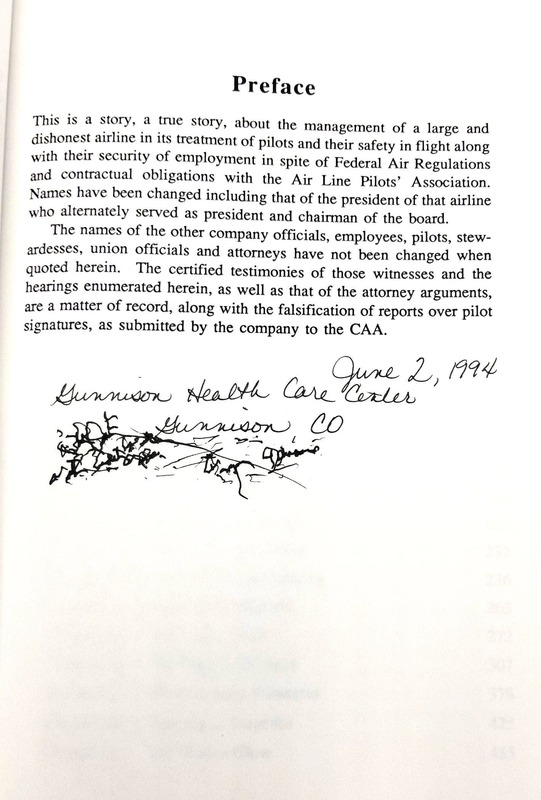 On the title page there is a note dated June 2, 1994, Gunnison Health Care Center (Which is the Dementia and related diagnoses branch of the Gunnison Living Community, a Senior Living Center). 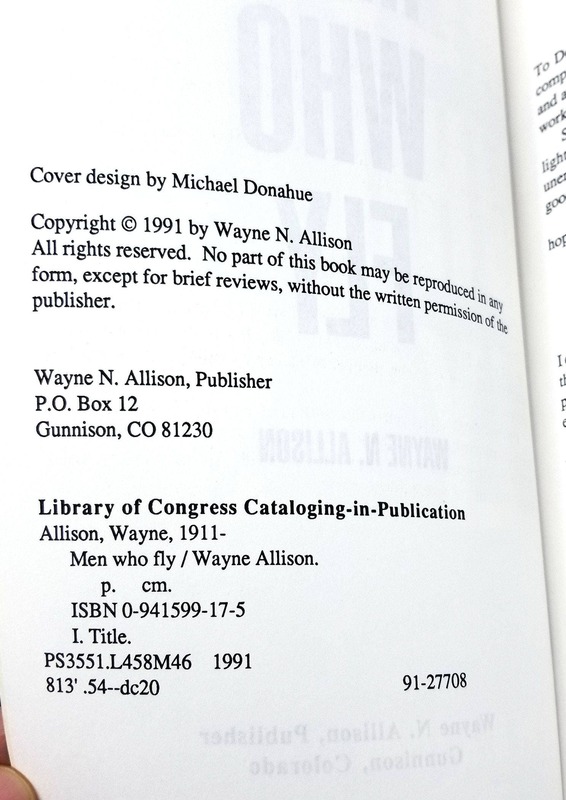 Below this note is a shaky, illegible signature we believe to be Wayne Allison's in his waning years. Mr. Allison passed away in 1996.